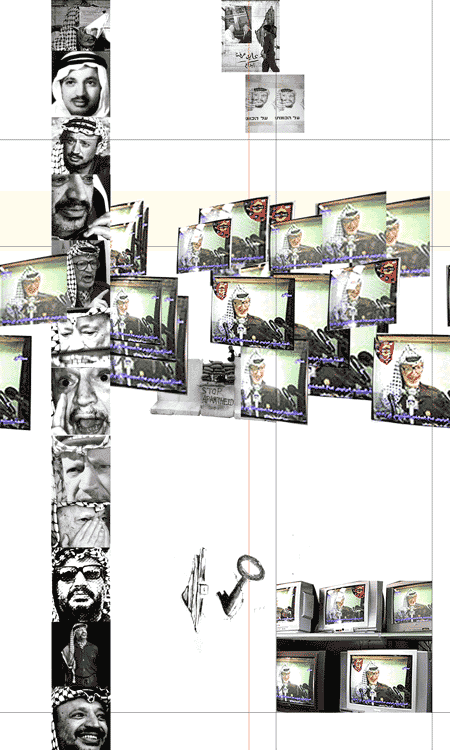 "The exhibition 'Guess who died' is directly controlled by Yasser Arafat. He is the inspiration for its creation. Thus it is a show tied to certain causes and direct links (from the show to Arafat, and from him to Palestinian terrorism and resistance). Bearing the full title 'Guess who died: On Arafat in Israeli Art', the show will include paintings (from the 1970s on), photographs, and film excerpts, juxtaposing the personal and the ideological, the private and the institutional." Ory Dessau. > arafat, who is yassir?